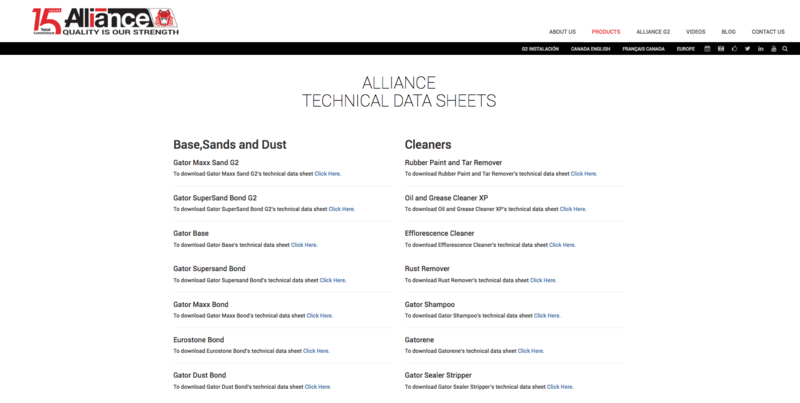 Every month, our Customer Support Team receives requests for technical data sheets (TDS) for various Alliance products. Did you know that TDSs can be downloaded directly from our website? In this blog post, we’ll teach you how. TDS stands for technical data sheet. It’s a document that summarizes the performance and other technical characteristics of a product. We have a TDS for every product we sell. 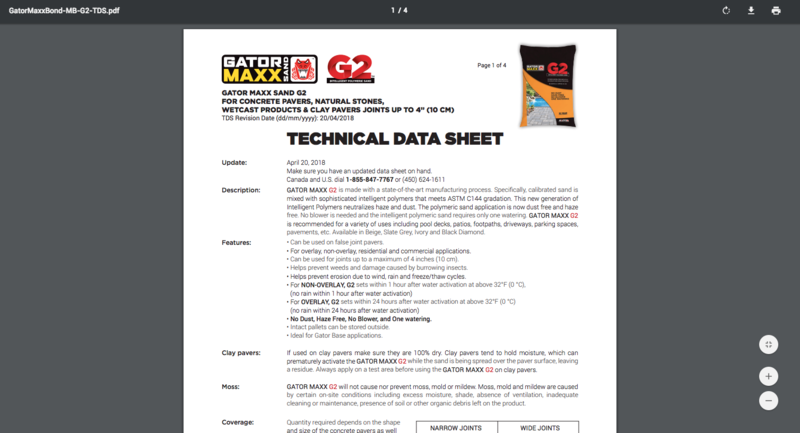 These sheets are filled with all kinds of useful information: a detailed description, features, installation notes, applications, and more. 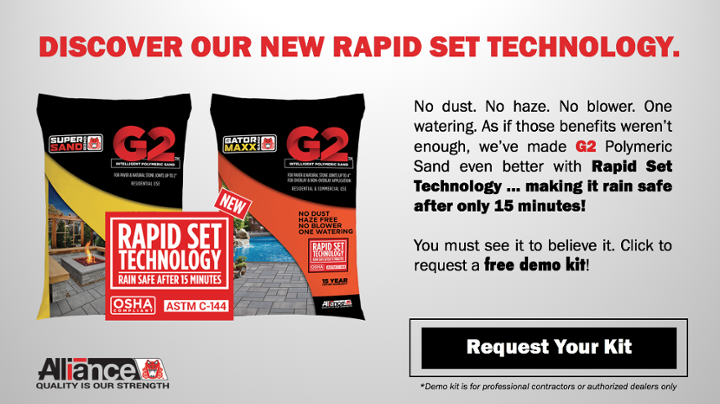 If you need fast access to a TDS on any Alliance product, simply hit up our website! Here’s how to access the TDS Library. 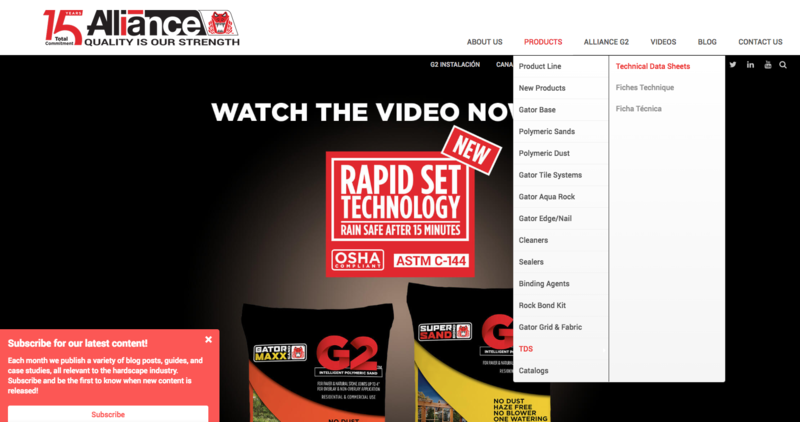 Click Products in the top navigation. Under the Products drop-down, click TDS (it’s the second to last option in the drop-down selection). NOTE: If you need a TDS in French or Italian, simply hover your mouse over the TDS option and another side menu will appear. You can make your selection from there. Once you’ve entered the TDS library, you can scroll through the page to see the various products that we have sheets available for. Locate the product you’re interested in and click the blue Click Here link underneath it. Next, a PDF of the sheet will open in a new browser window. You have the option of printing a hard copy (click the printer icon in the upper right corner) or saving the file locally to your computer (click the down arrow icon in the upper right corner), whichever you prefer. You can also access the TDS for any product by visiting that product’s web page. 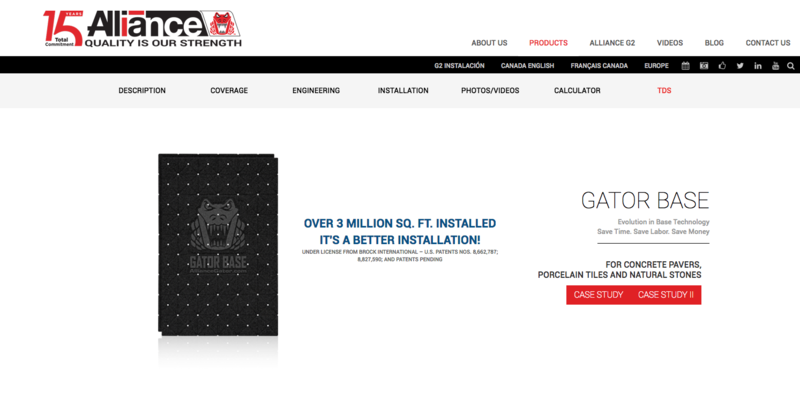 For example, if you click Gator Base from the main Products menu, you’ll be brought to the Gator Base product page. At the very top, you’ll see a light gray menu running across the top of the page. Every product page has a menu like this. Click TDS from that menu to access the data sheet and either print it or save it from there.